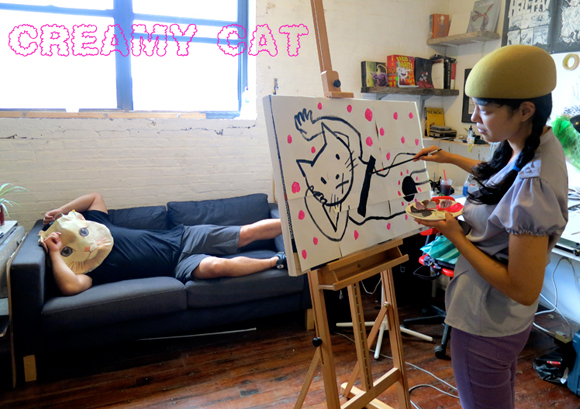 NYC based gallery onetwentyeight is proud to present the whimsical 3 woman group show called Creamy Cat! This upcoming exhibition will feature famed Dunny designer Aya Kakeda alongside Kelina Rääk and Michiko Korie. Sure to tickle the fancy of any cat or art lover, Creamy Cat opens this Saturday, September 15 and will be on view through September 29.